Jesus’ 3 ½ year public ministry comes alive in this vibrant, illuminating retelling by Pastor Jack Abeelen, a uniquely gifted Bible teacher. 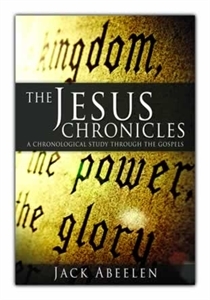 In The Jesus Chronicles, the Messiah’s sermons, healings, confrontations with Roman and religious authorities, and interactions with His disciples and the common people unfold chronologically, drawing the reader into the ancient world as if it were today. Insightful cultural and historical details will enlarge your understanding of the Passion of Christ. "I have invited Jack to Hawaii several times to speak at our ‘How To Walk’ conferences and he is always one of the best received presenters. His down-to-earth communication skills have been transferred to 'The Jesus Chronicles.' An excellent resource for the Bible student or to simply curl up with a good book about Jesus on a rainy day." 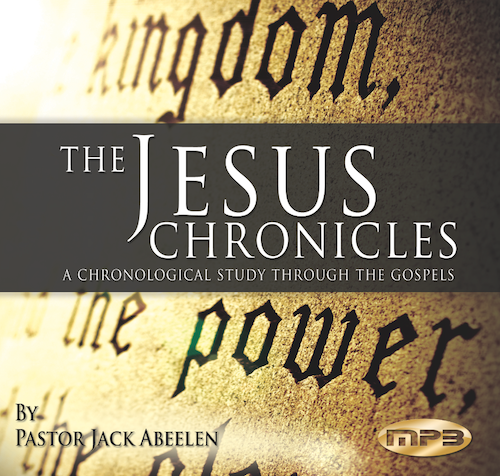 "Jack Abeelen's book, 'The Jesus Chronicles', was a real blessing for me to read, and I know it will bless many others. Jack is a great storyteller and he tells the story of Jesus with clarity, practical application, and good scholarship, while at the same time communicating with a warmth and comfort that gives the reader an up close and intimate personal contact with Jesus. You can open this book to any page, read for a few, and get to know Jesus a little bit better. I highly recommend this book, as a study resource, or as a devotional tool. You will pick it up again and again." "Jack Abeelen shares the love of Jesus Christ in such a way that we get in touch with that One who lived here among us. We can walk with Jesus,watch Him, listen to Him, and reflect on Him. Jack Abeelen takes us on an insightful journey into the greatest life that has ever been lived. He helps us to know Jesus better." "Frankly I was pleasantly surprised with this new book, 'The Jesus Chronicles'. It’s a fresh look at an age-old dilemma—the chronological layout of the gospel record—but this one is far different than most other tomes. Jack Abeelen doesn’t merely harmonize the synoptic accounts and John’s gospel to tell the story. He follows the flow of Jesus ministry applicationally, not just chronologically. I love books on the life of Jesus and I have loved seeing Jesus through Jack’s clear eyes and ready pen." "As you read this book, you will understand why Jack Abeelen is highly sought as a conference speaker and why his congregation is so loyal. At the same time, your understanding of Scripture grows immensely." "Jack Abeelen is a faithful expositor of God’s Word. In this book he provides keen insights into the life and ministry of our Lord and Savior. It will serve as a great guide for those who are wanting to know Jesus better, and as a helpful resource for others who choose to teach God’s Word."